Nestled in the heart of New York City, Catalyst S.P.O.R.T. is a skip between Times Square and Grand Central. The fitness center offers a variety of services, from group training to semi-private personal sessions. All walks of life find themselves enter through their doors, but most curiously, a group of female Muay Thai fighters rave about their experiences the most. 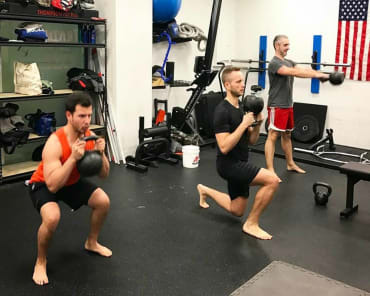 Six athletes from Renzo Gracie Muay Thai, located only ten blocks away in Midtown Manhattan, convene weekly with the multiple trainers Catalyst has to offer. Each woman focuses on something different than the other--they may be active fighters while the others are in-between seasons, might be overcoming an injury or recovering from a previous fight, or have not yet fought and are simply there to increase their stamina and mobility. There’s something the small facility offers that big-box gyms do not and they can not get from their martial arts academy--the emphasis of bringing strength, agility, and movement together to enhance their skills and make them the ultimate version of themselves. It is with this additions to their game that these female fighters have seen vast improvements in their training and fight performances. Headed by Joe Boffi and Jason Kapnick, also Brazilian JiuJitsu and Muay Thai competitors out of the illustrious Renzo Gracie Academy since the mid-2000’s, Catalyst S.P.O.R.T. was designed with all athletes in mind--but their results with the female fighters have been tremendous. 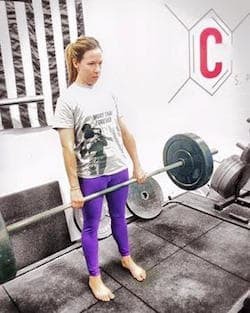 Strength training for women in particular is nothing new, but Kapnick and Boffi recognize and emphasize the importance of developing the strength of these female fighters. To be a fighter in any combat sport requires more than just discipline and heart--in this day and age as cryotherapy replaces ice baths and body fat is analyzed electronically, all competitors are looking for the biggest edge over their opponent. Long gone are the days of Muhammad Ali running on the sand in combat boots. Training has become more efficient, more technical, and more personalized. Catalyst offers these fighters that specific edge they are seeking. The studio is lined with equipment for strength, mobility, and recovery, while a private room is utilized for acupuncture, chiropractic, massage, and physical therapy. 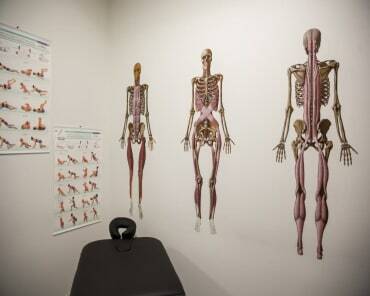 It is these tools alongside the staff’s expertise that makes the difference in the athletes’ training and well-being. They understand that in order to be the best competitor, they not only need to train with the best, but recover and prepare with the best as well. As the realm of combat sports transforms, another major change is the introduction of female competitors, like the fighters from Renzo Gracie Academy. While boxers Barbara Buttrick, Cathy Davis, and Christy Martin shook up the world more than thirty years ago, the likes of Gina Carano, Ronda Rousey, and Cristiane Santos have established a new evolution with their specialities in different martial arts. Carano--a well-known Muay Thai fighter, Rousey--a Judo Olympian, and Santos--who has won it all from Brazilian JiuJitsu, Wrestling, Kickboxing, and Muay Thai, utilized their talents in the MMA cage, highlighting their capabilities from standing to ground. Boxing is no longer the only avenue for female fighters, as boxers-turned-MMA-fighters Ana Julaton, Heather Hardy, and Holly Holm have illustrated. MMA’s big draw has shined a light on some of the arts that make up the Mixed Martial Arts, including Muay Thai. Catalyst has their doors wide-open for the female practitioner and wants to give them the opportunity to add even more tools to their arsenal. As these athletes’ sport of Muay Thai becomes more prominently known than ever, their possibilities in the sport are growing, which adds to the importance of the training they receive at Catalyst. The martial art, also known as the Art of 8 Limbs, hails from Thailand, and has a long and storied history regarding it’s introduction to Western countries. Twenty years ago it was a martial art that was trained in extremely small groups, behind closed doors, or in the back rooms of fitness clubs long after they had turned the lights off. However, an explosion of gyms has erupted over the last ten years and the sport is more accessible than ever. Having spaces such as their academy and Catalyst gives the competitors not only a place to train and improve, but also an area where they can feel safe and empowered, both mentally and emotionally. As its popularity increasingly grows stateside and worldwide, the sport of Muay Thai has now been primed for the Olympics, being granted provisional recognition by the IOC in 2016. There is a very real opportunity for Muay Thai to be included in the 2024 Olympics, something that has never been done before. Each of the female fighters at Catalyst could have an authentic chance at representing the United State whether it is at the Olympics or IFMA, the sports Olympic equivalent, and this is something that is taken seriously at Catalyst. It is more important than ever for the athletes to utilize every aspect they can as far as their training, prehab, and recovery. Having a place such as Catalyst to sharpen the same tools they develop at training allows these competitors a closer reach to one day fighting for a gold medal or world title. Despite the physical and mental transformations the fighters produce, the Catalyst team is most proud of what they are able to give back to their community as well as the growing self-confidence they recognize in their female athletes. Kapnick capitalizes on this and emphasizes that what matters most for both of them is simply making a difference. “The sense of fulfillment of helping others is tremendous. I feel like I am continuously improving, getting better, just my personal development through all this. Being a business owner has shown me where my weaknesses are and how I can improve on it. More than anything else, the support we’ve received from Renzo Gracie Academy--never in my life have I had a group of friends that have supported each other like this. I’ve never had a friend like Joe, where we support each other so powerfully. The whole Catalyst, we are a family. The whole fulfillment and sense of community is unbelievable. It’s added a depth to my life that I didn’t even know was possible.